I added some black striped washi along the bottom of the card base. Next, I added the heart shaker foam and added some hearts from the kit. I layered that with the heart shaped piece of acetate....already cut and so EASY to put together....and the topped it off with the stitched heart die. I love how all the pieces work together so well! 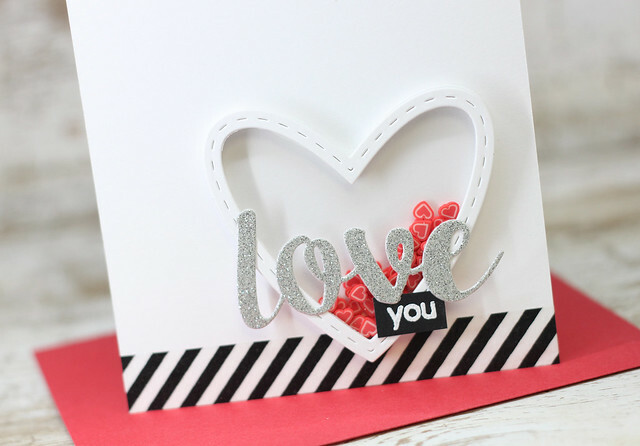 Next, I added in the love die cut in some glitter paper and then heat embossed the "you" on black card stock. So simple and so fun! I added in a heart die and then around the die cut, I glued several heart toppings, also from the Heart Throb kit. I finished it off with the same glittery love and heat embossed sentiment as the first card. 2 matching elements with 2 totally different cards! Hope you have enjoyed all the love here today! So glad you stopped by. Hope you have a great day! Lovely cards Laurie =- and what super kit! 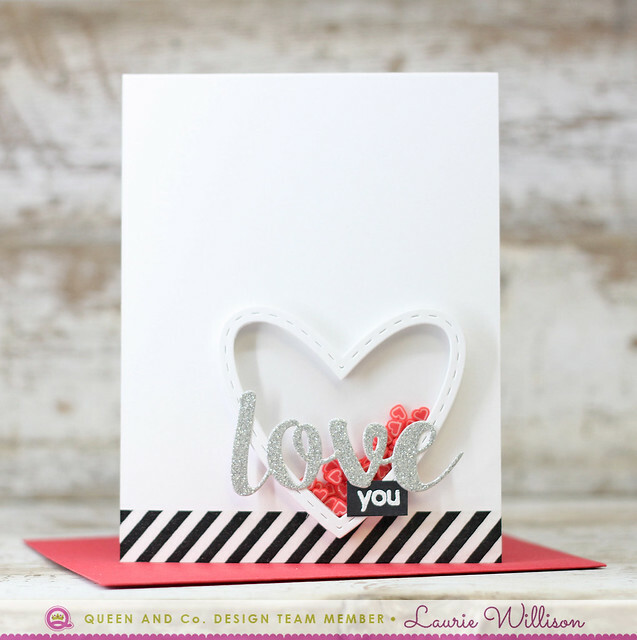 Really sweet cards, Laurie! 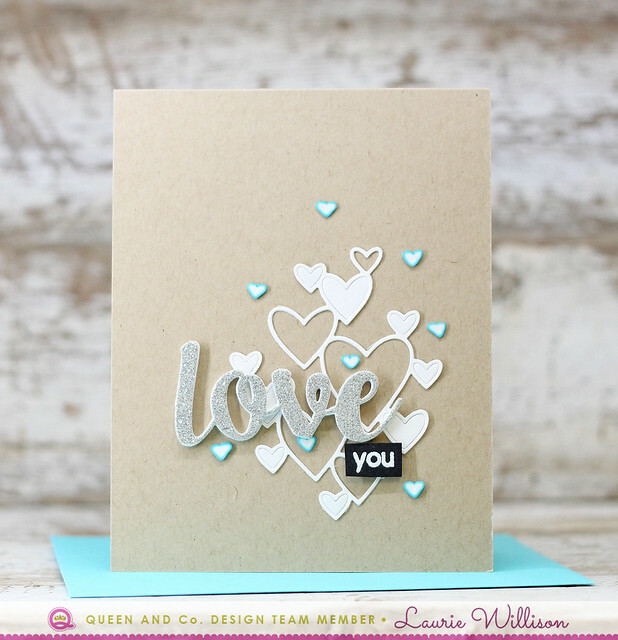 I'm loving those cute little red hearts inside your shaker and the pastel blue hearts on the 2nd card...so fun!